A palace spokesperson said the Queen was unwell would remain in her home today at Sandringham in Norfolk. It comes amid concerns over the health of the 90-year-old royal after it was revealed that she and her husband Prince Philip were suffering from "heavy colds". "Her Majesty The Queen will not attend Church at Sandringham this morning," the palace spokesperson said. "The Queen continues to recover from a heavy cold and will stay indoors to assist her with her recovery. The Queen and the Duke of Edinburgh delayed arriving at Sandringham because of illness on Wednesday. The royal couple had been expected to travel from London to King’s Lynn by train. But instead they were forced to fly to their estate by helicopter on Thursday. It is reportedly the first time the Queen has missed a Christmas Day church service at St Mary Magdalene since 1988. Hundreds of people had gathered outside the church for a glimpse of the monarch with some arriving before dawn. The Queen’s Christmas message will be broadcast as usual at 3pm today as it was recorded before she became unwell. 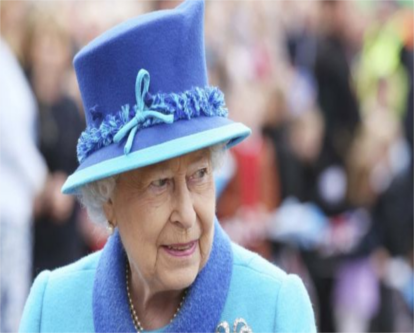 On Tuesday, the Queen stepped down as patron from 25 national organisations. Her majesty and the 95-year-old duke hosted their annual Christmas lunch for dozens of relatives at Buckingham Palace on Tuesday. It comes just a day after the Queen's granddaughter Zara Phillips and her husband Mike Tindall suffered a Christmas tragedy following a miscarriage.